The initial edge goes to the duffle for being easier to fit into overhead compartments, but we really advise owning both, and evaluating your trip in terms of the distance you’ll need to cover with your bag on foot. If you’re making a connection that requires getting from one end of Charles de Gaulle to the other in 20 minutes, definitely opt for a small roller bag. 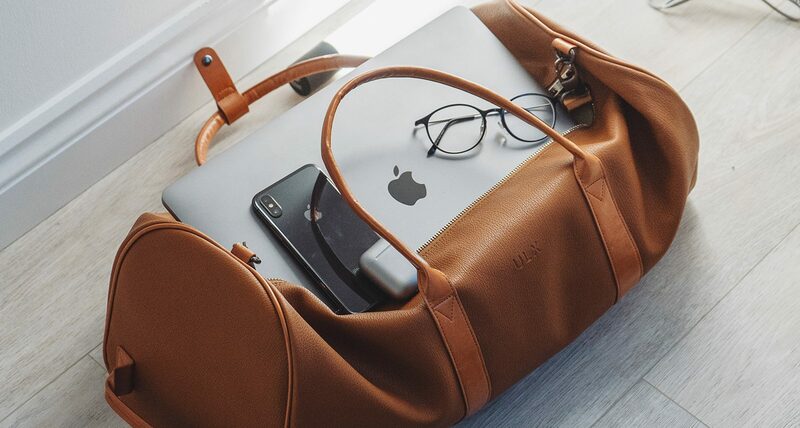 On the other hand, if you’re visiting anywhere rustic that requires trekking across cobblestone roads and up and down numerous flights of stairs, you’ll appreciate a duffle. What’s a Fail-Safe Gift Idea for Any Occasion, No Matter Who the Recipient?